I put together this set over the winter. It was a fun project and it turned out great but I just came to the realization that these will just never get much play over my primary set. This would make for a great back up set or collectors set – Or gamer if that’s what you’re looking for. 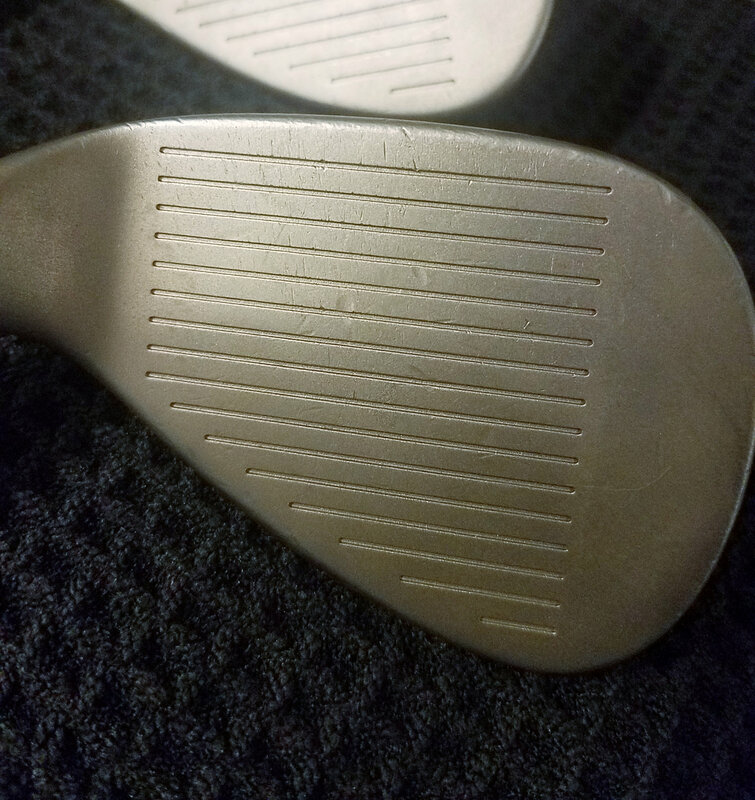 I have played two winter rounds with these along with hitting many balls off a mat into a net. They feel fantastic and played great. 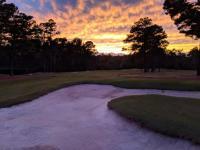 Most of the clubs in here are some cult favorites. 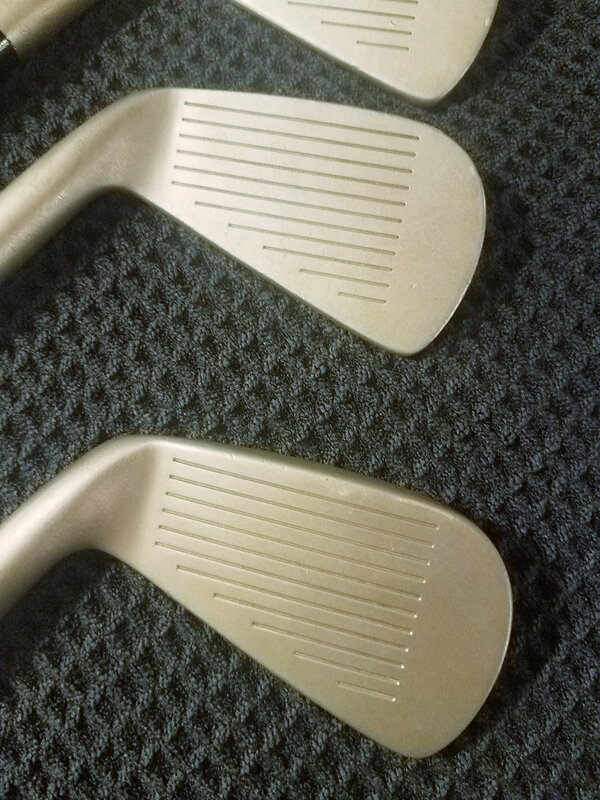 The iron heads, wedge heads, and putter head were all stripped raw and sandblasted. 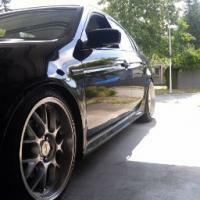 The work was done by KJ Metal Refinishing. 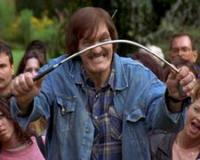 I did not have them regroove any of the irons or wedges but did have them re-mill the putter. 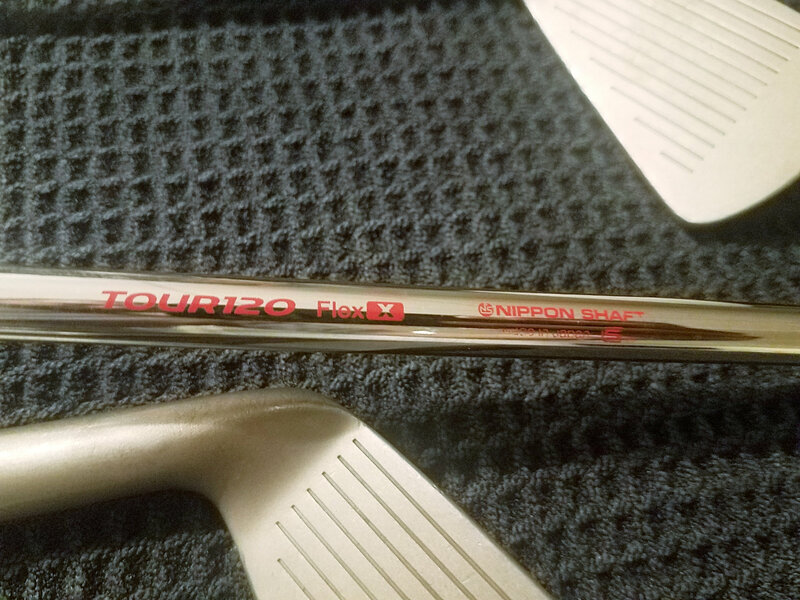 I completed the paint fill and builds. 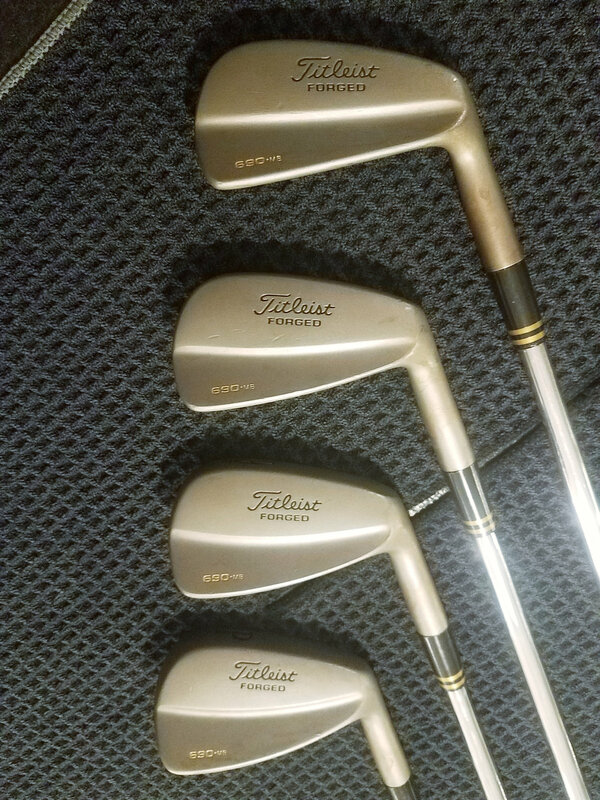 The paint fill consists of matte black and gold. I used Testors model paint. 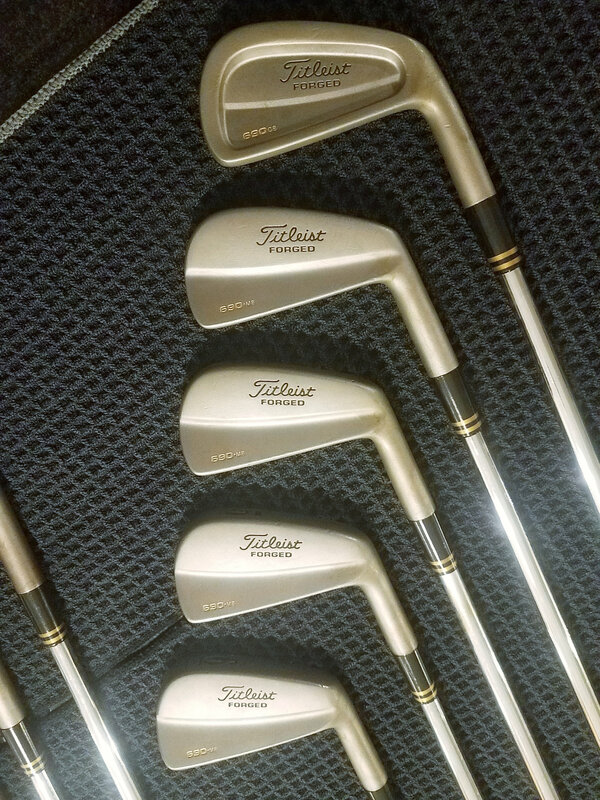 The irons and wedges have black ferrules w/ gold rings on them to match the clubs. I have yet to get around to turning these down although they do blend very close. 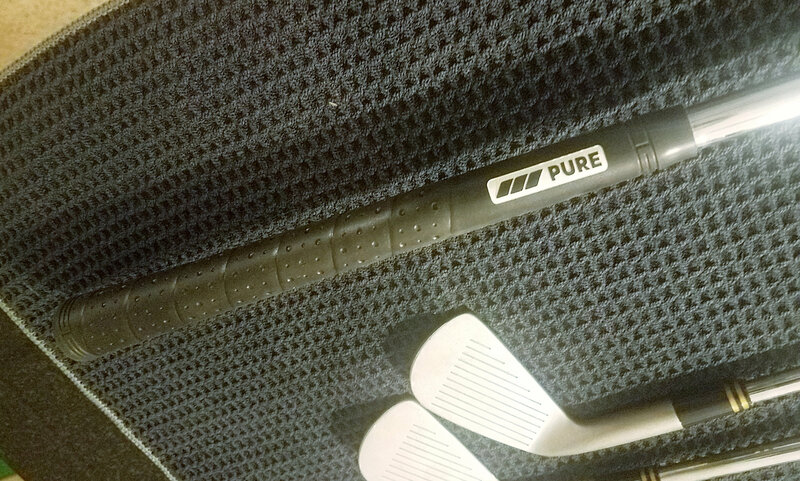 All clubs (not putter) have black PURE midsize wrap grips w/ 3 wraps near the bottom half to remove some taper. I personally think these grips play to a true midsize grip with the wraps added. UPDATE 3/25 - Will split out items. See pricing below. Payment and Shipping – PayPal only. I plan to ship each item USPS Priority. Lower 48 only. The prices above are shipped but please note if shipping exceeds $15 per item then the is to pay the difference. I'll include up to $20 for the iron set. I'm not trying to be stingy.. I just don't want to get burned shipping somewhere expensive. 1. 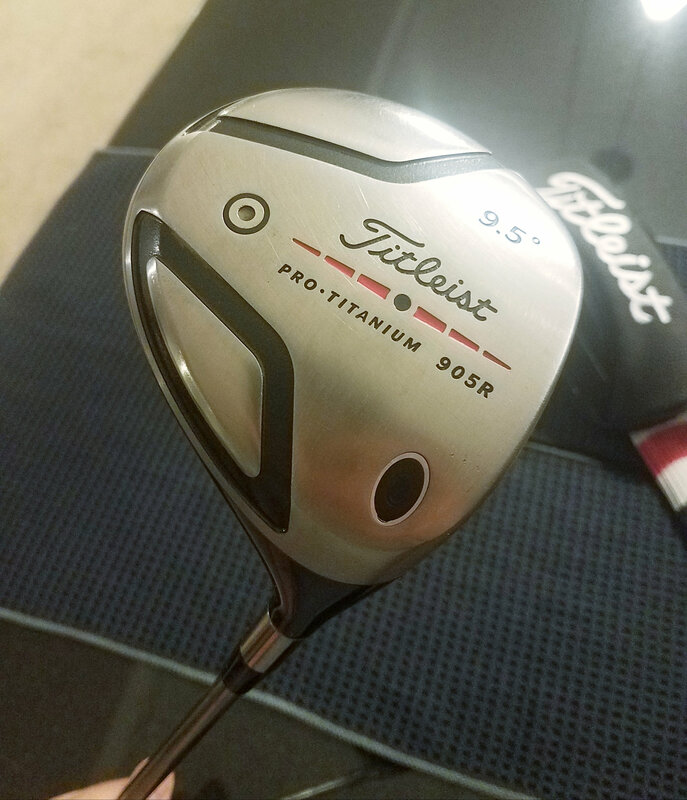 Titleist 905R 9.5* w/ upgraded Diamana White Board Stiff 73 x5ct (w/ flower band) – Plays just under 44” (43 7/8”). In great shape for the age of the club. Has some very small marks on the top line if you look closely. See pics for condition. 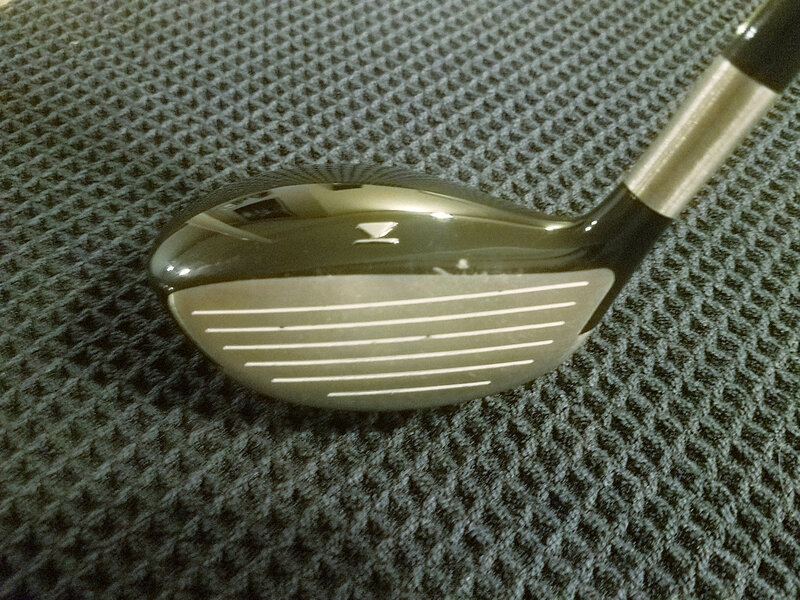 Comes with original head cover which is not in the best condition, but works fine. 2. 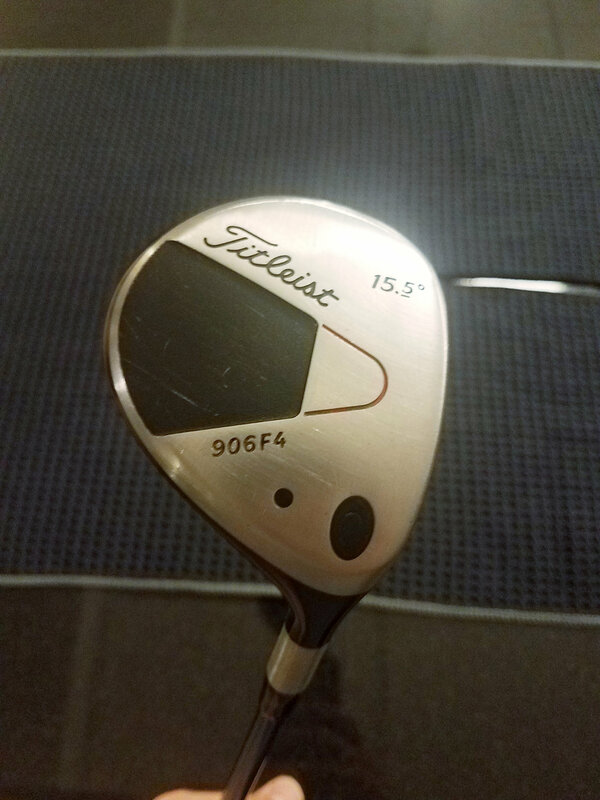 Titleist 906F4 15.5* w/ stock Aldila VS Proto “By You” Stiff 80 shaft – Plays about 42 3/8”. Good shape for age. 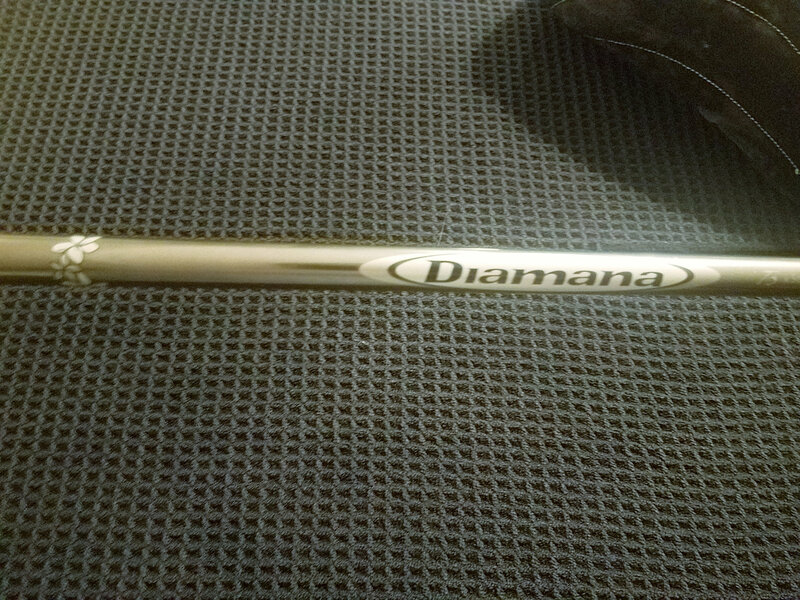 Does have a small sky mark/knick. 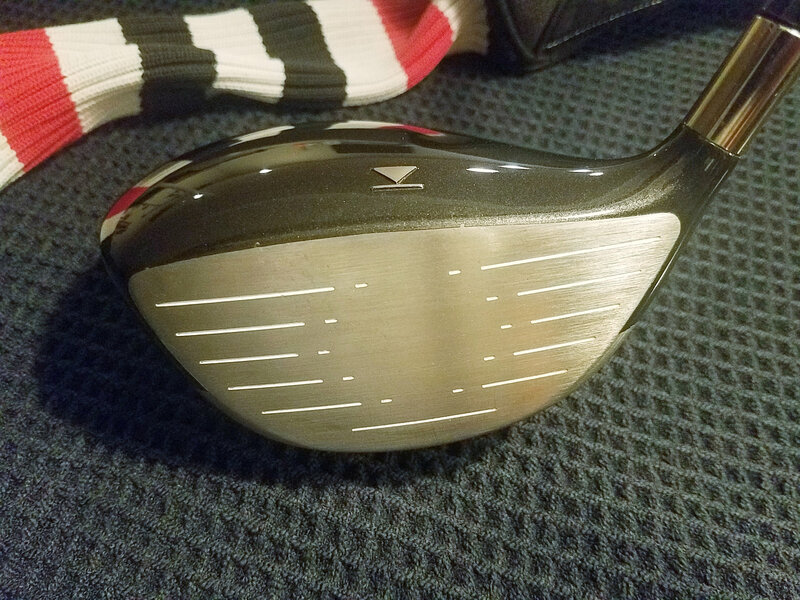 This is a very easy to hit fairway. 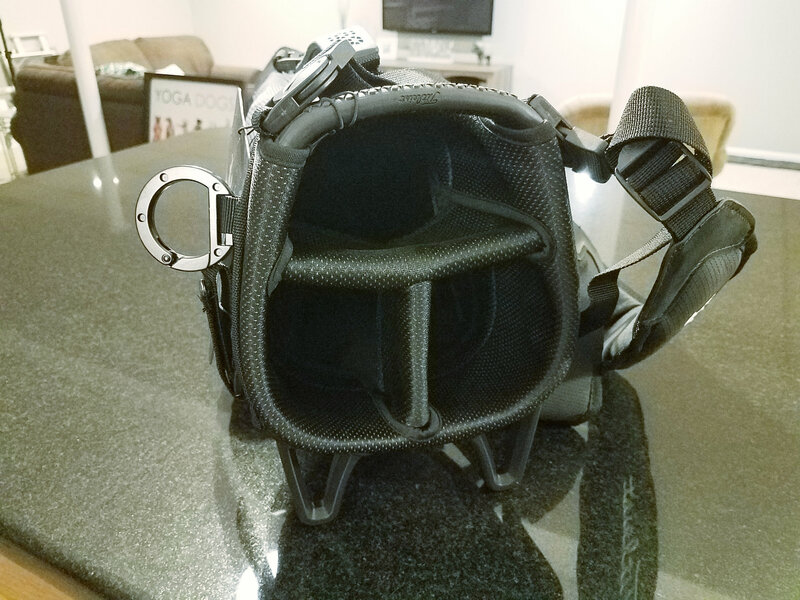 No head cover – will ship well protected. 3. 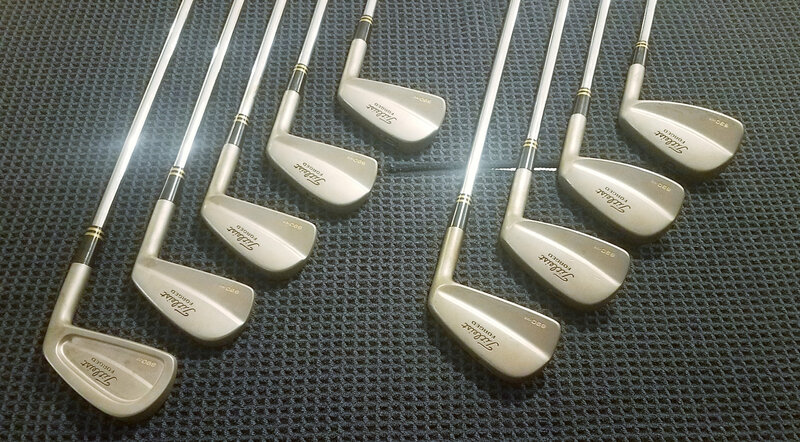 RAW Titleist 690 2-PW Iron Set w/ Nippon Modus3 120x – The 2 iron is CB and 3-PW are .MB (dot model). These all play slightly over standard. 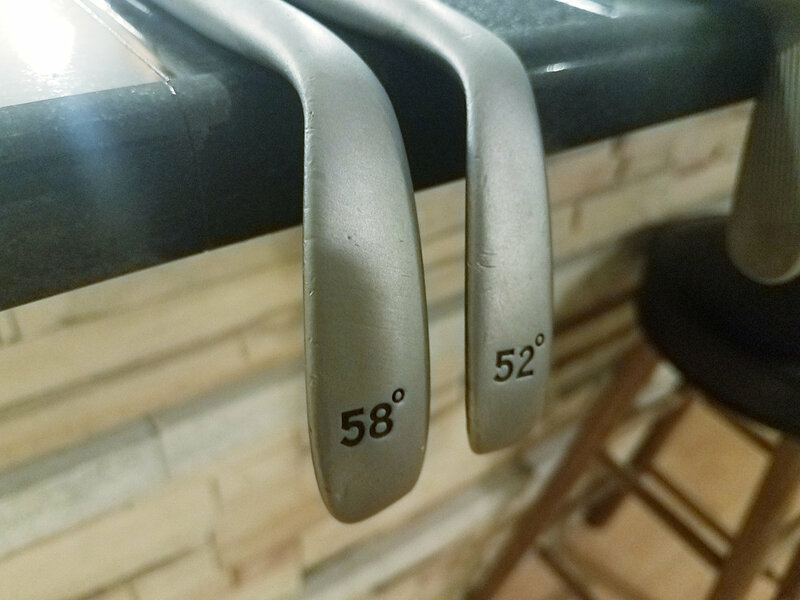 5 iron measures at 38 1/8”. Some clubs measure closer ¼” over. Please note: Pure grips caps are longer IMO and I’ve always found my builds to vary a bit with them so I think this is what threw off the lengths. 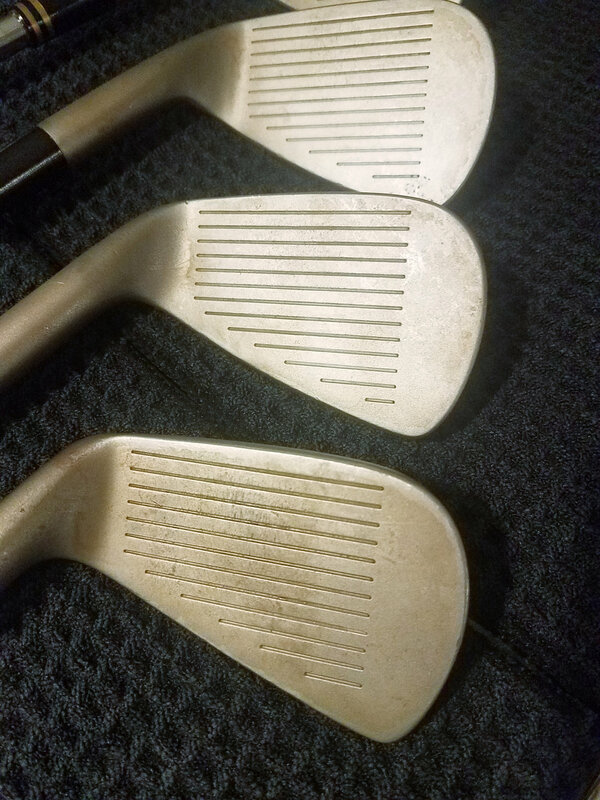 The shafts in these are a couple years old and have been in and out of a few sets of mine. So, they are also used and do show some cosmetic wear. 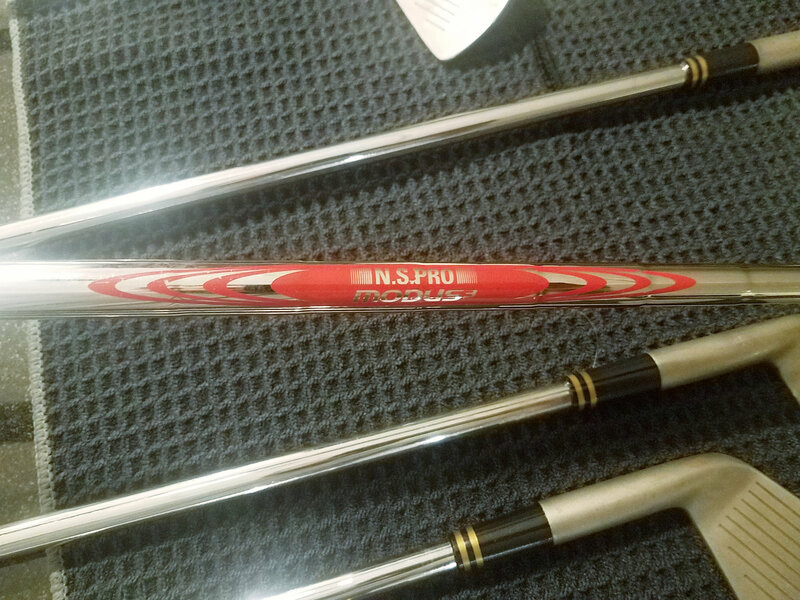 The shaft lengths on these weren’t perfect so I did have to add some extensions to the 8 and 9 iron. 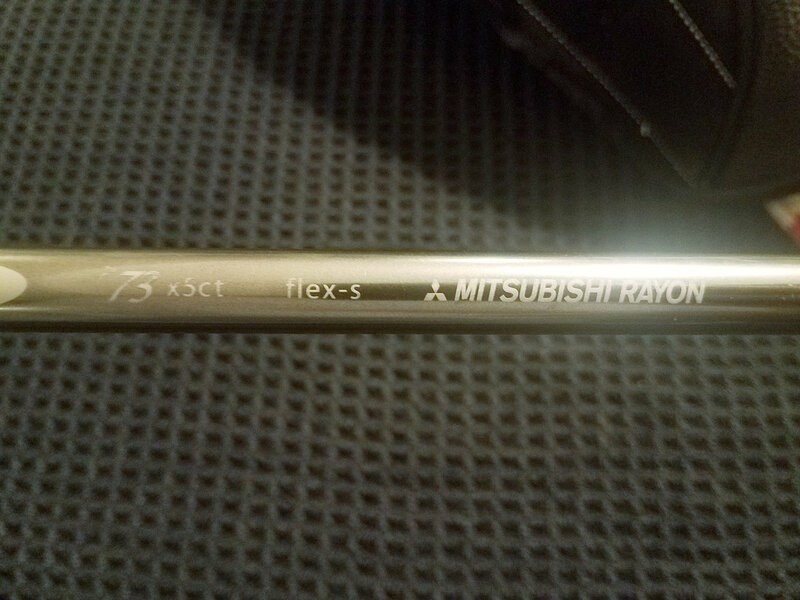 The extensions were very small, <1/4”. I’m not 100% on lie as I never checked but they seem pretty standard to me though although the 2i seems a little upright. I built these with brass tip weights to get the SW back up after they were stripped. The 2i-7i are ~D2. 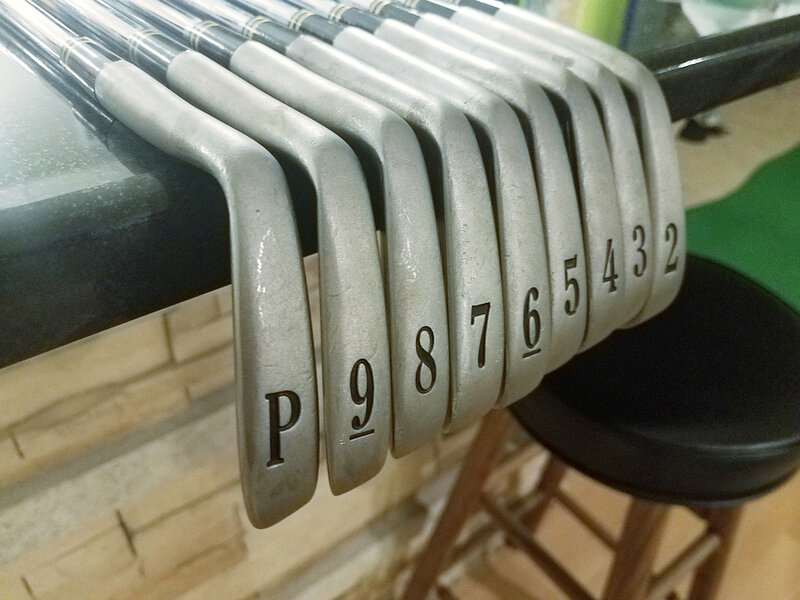 The 8i, 9i, and PW came in slightly lighter at ~D0,~D0, and ~C9.5. 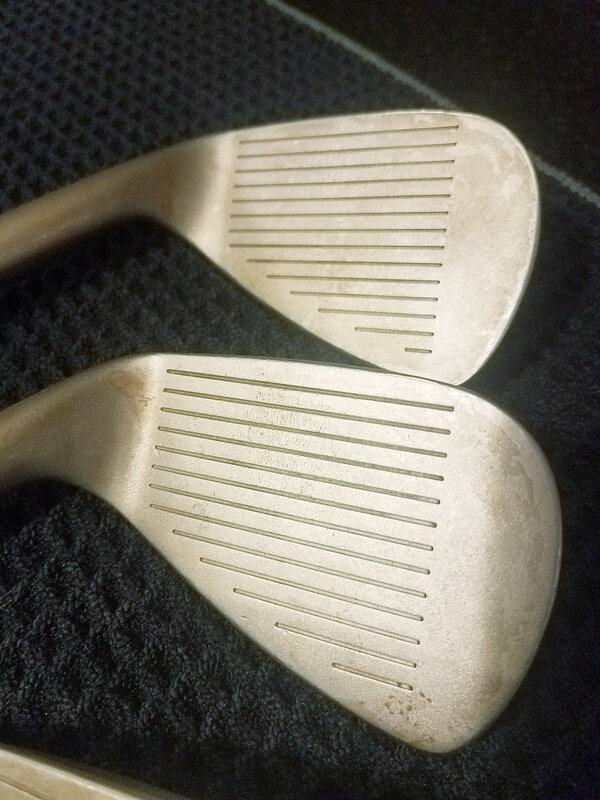 The irons do show some wear in the form of dings, clatter, etc which is typical for clubs of this age. 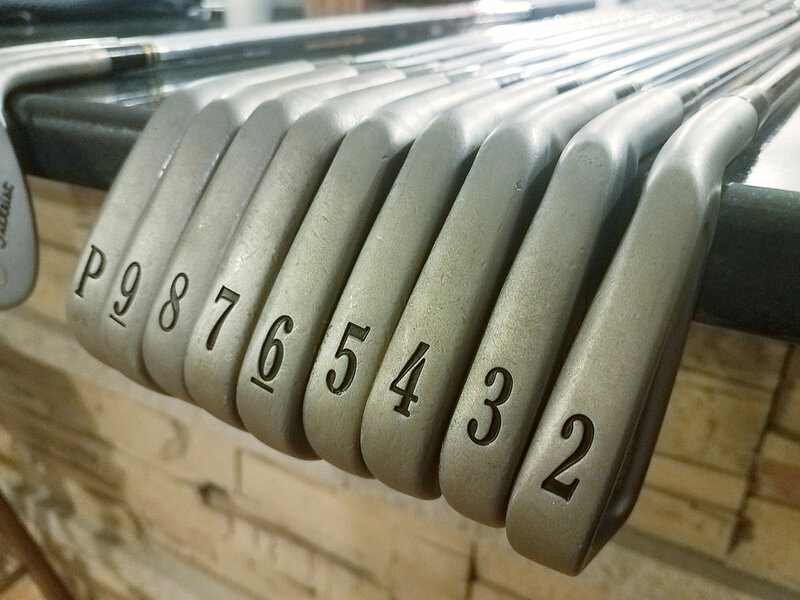 The raw finish hides a lot of this. 4. 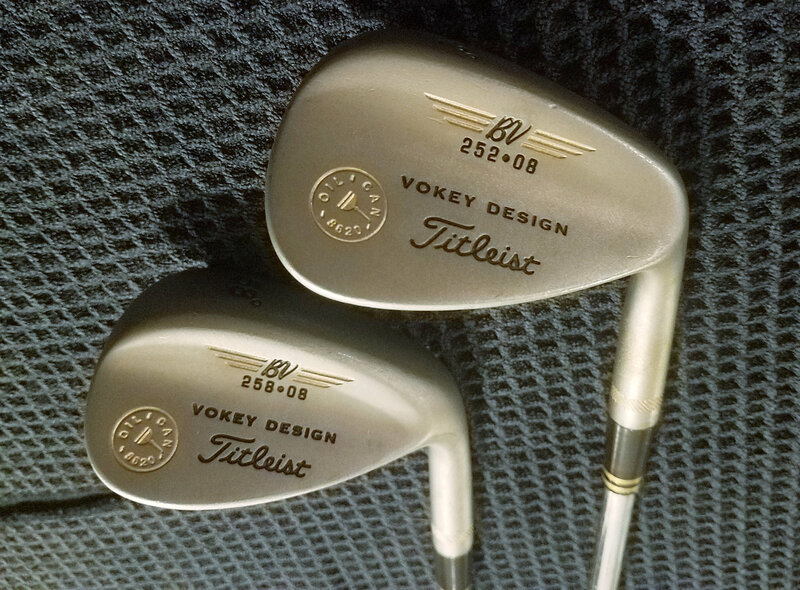 RAW Titleist Vokey 200 Series Oil Can 52* & 58* Wedge Set w/ Nippon Modus3 120x – Both play at 35.5". The SW of the 52 is ~D3.5 and the 58 is ~D4. 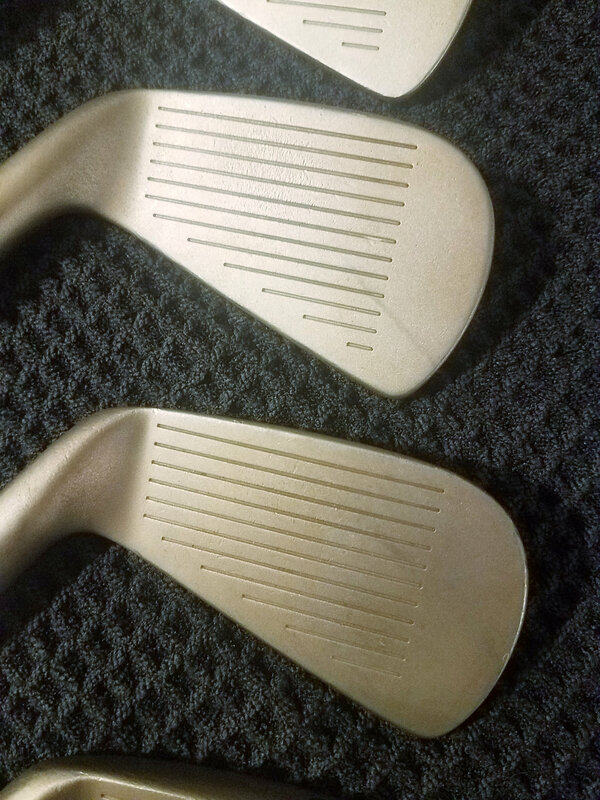 The wedges do show some wear in the form of dings, clatter, etc which is typical for clubs of this age. 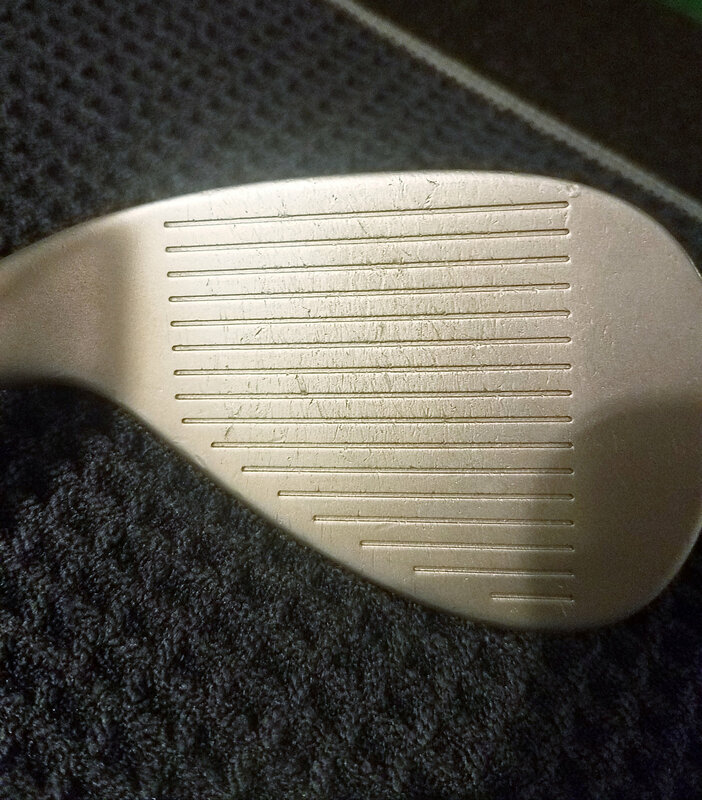 The raw finish hides a lot of this. Please note, pretty sure these are non-conforming grooves. 5. 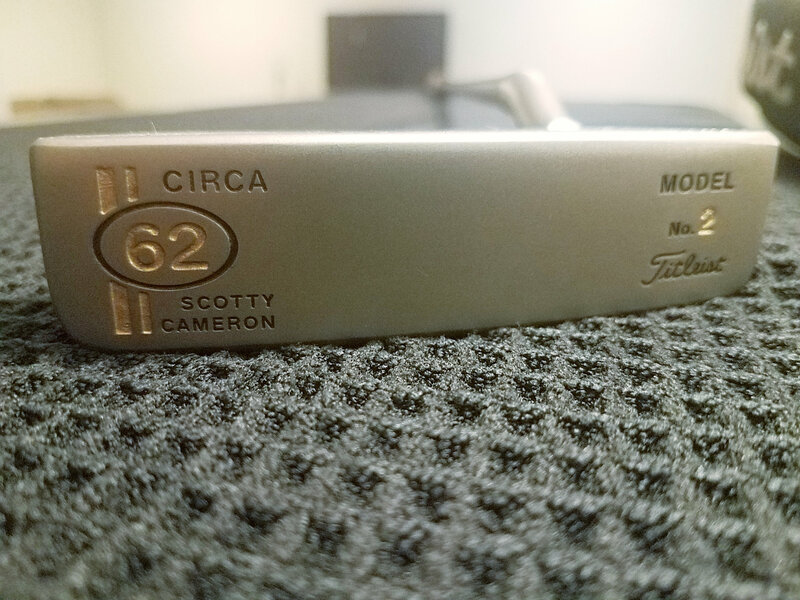 RAW Scotty Cameron Circa 62 No. 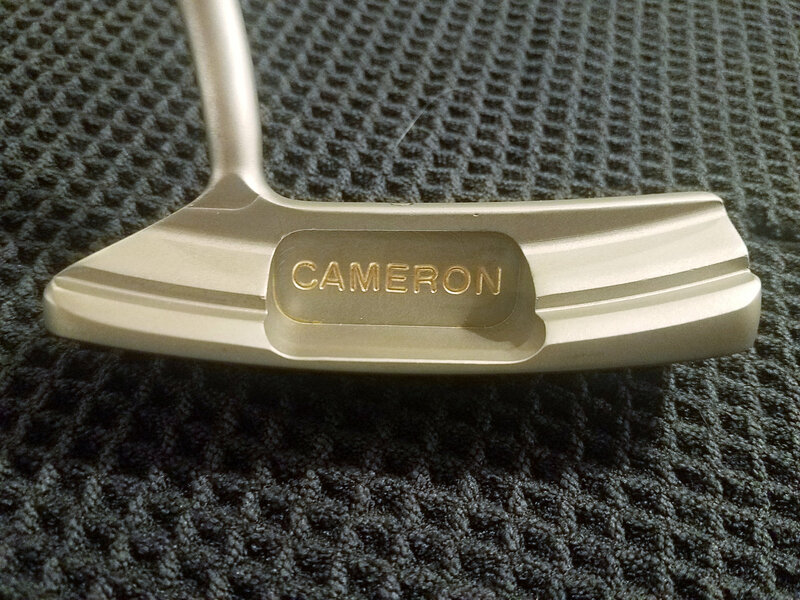 2 Putter – Has site dot. 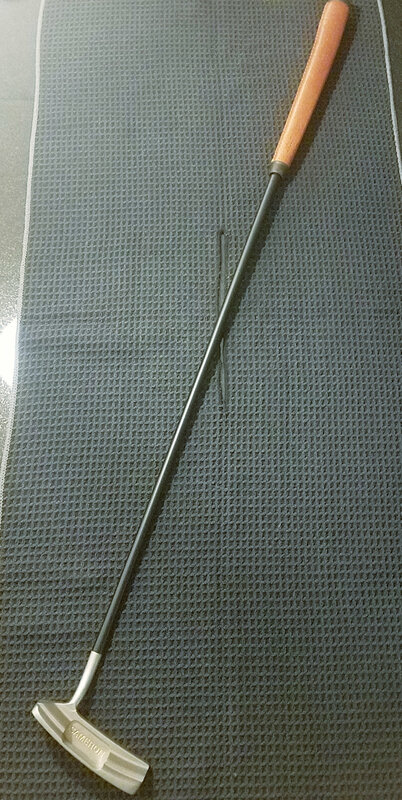 Measures 34.5” from very end of grip or 34” from where the grip cap and leather meet. 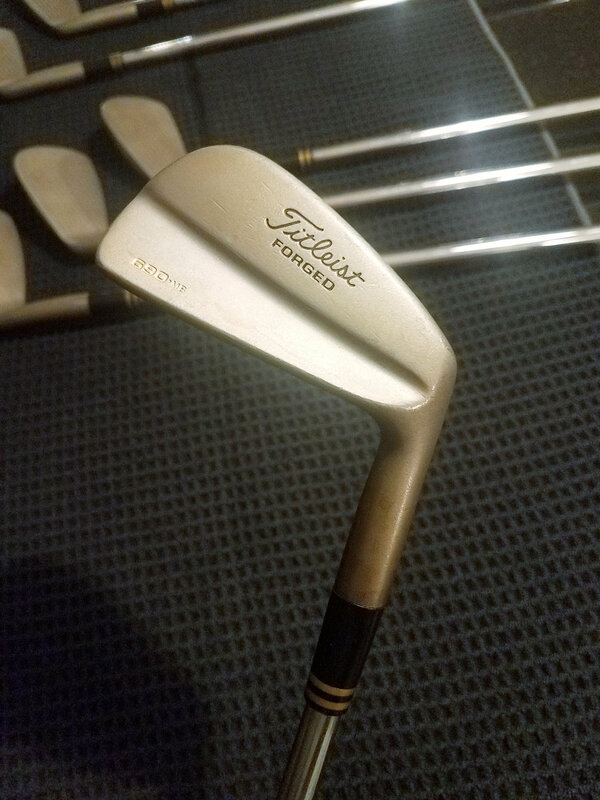 I am fairly certain that this is the 2008 model from how I remember the original finish. This is in excellent condition. 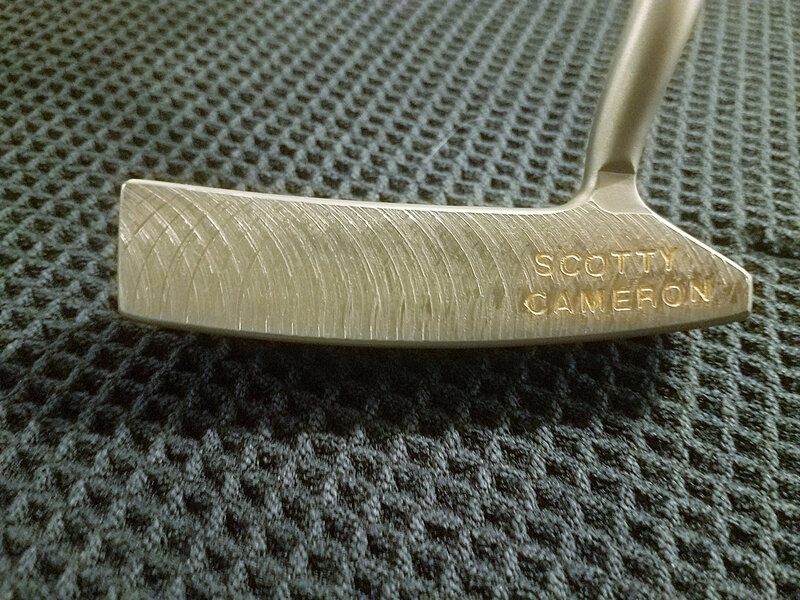 I also sent this out and had it stripped, sandblasted, and the face re-milled. Sandblasting got most of the dings out although there are some very smalls signs of some. Please look closely in the pictures. 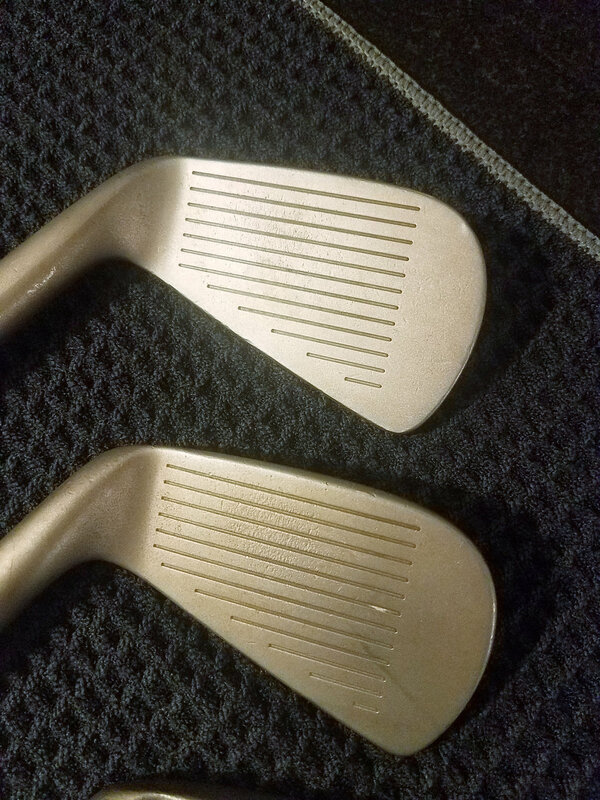 The re-milling is a little deeper than standard. 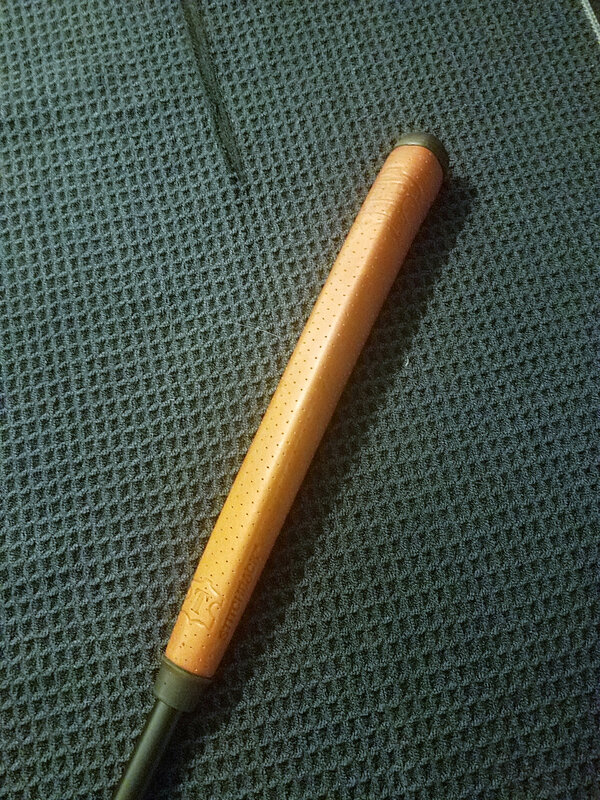 I added a brand new matte black shaft and a brand new tan Grip Master Signature Cabretta – midsize pistol grip. 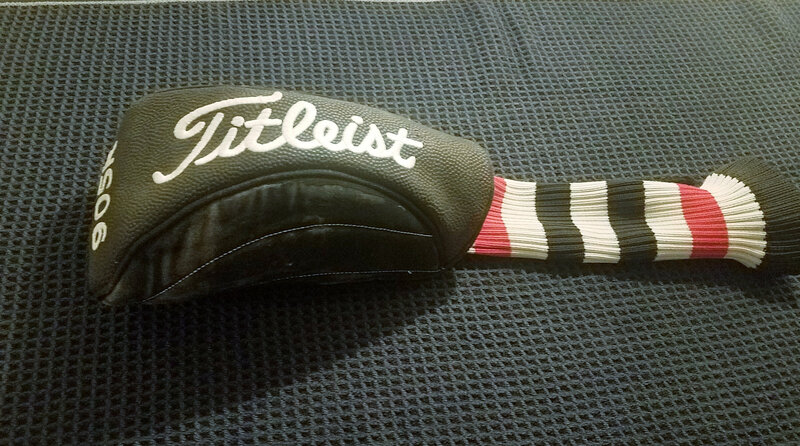 No head cover as I am keeping the custom cover that I used for this but will ship it out very well protected. 6. 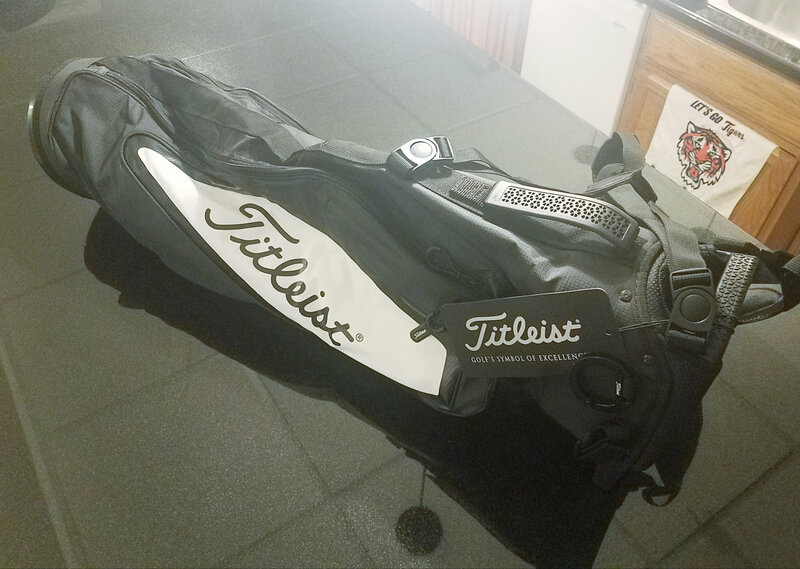 Titleist Premium Sunday Carry Bag – Bought this recently from the BST. 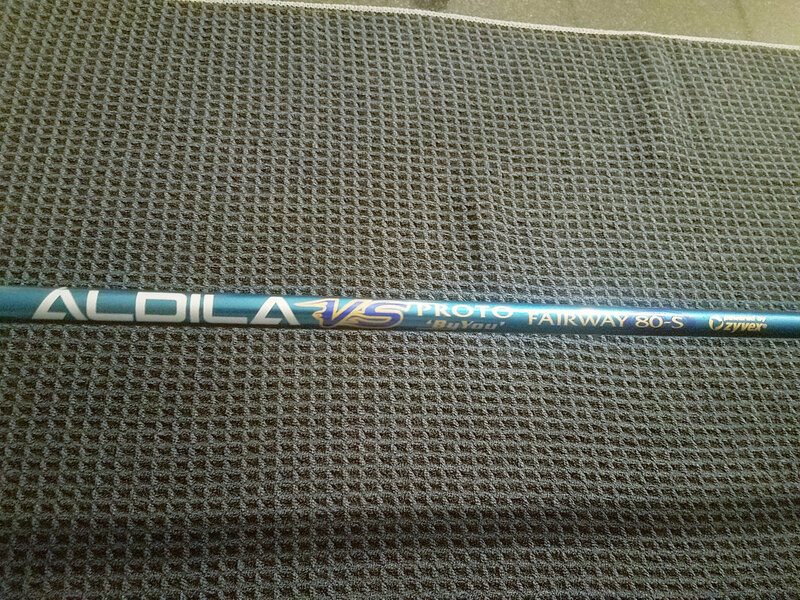 I don’t know if I can call this brand new but the previous owner never used it and neither have I. It still has the tag on it. 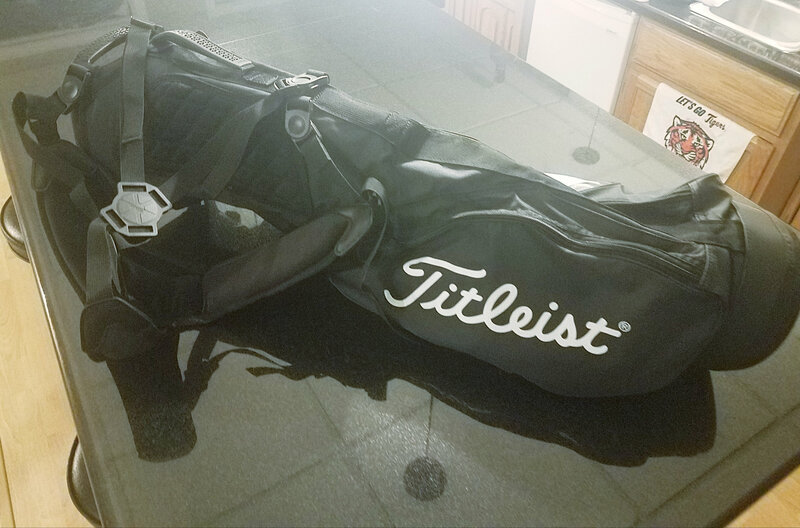 It’s an awesome looking bag. 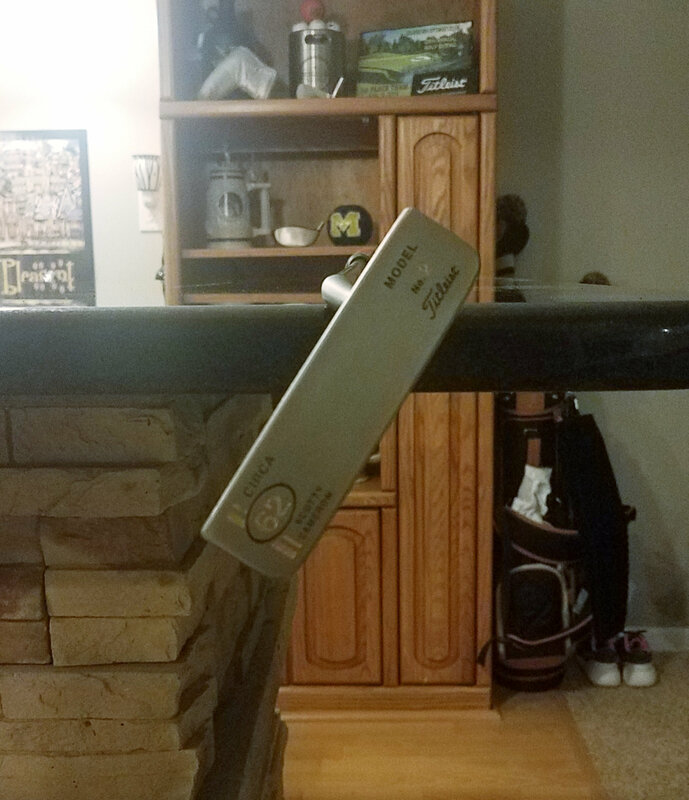 Has mini stiff stands/legs to help keep the clubs off the ground. I decided to get a Jones Original instead. 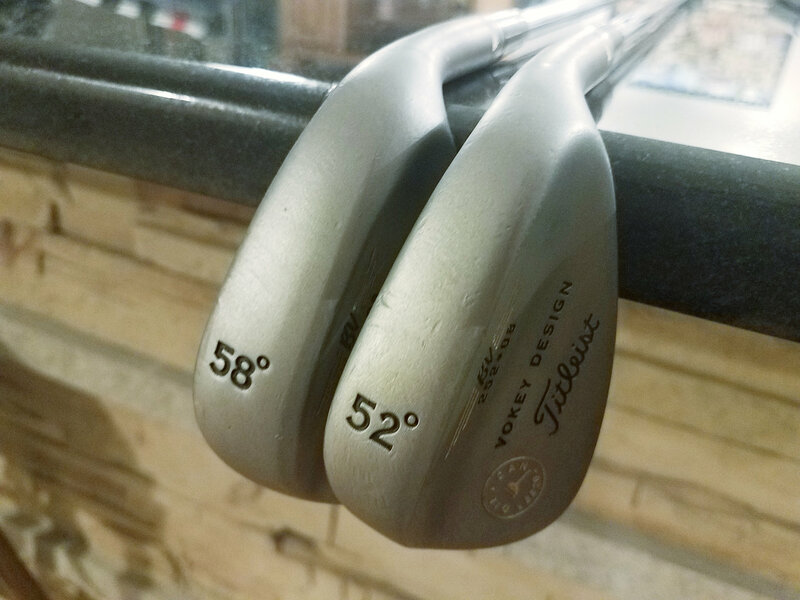 The minute you decide to let the irons and wedges go on their own please let me know. That’s an awesome project. Very well done. Good luck with selling. Decided to split it. See edited post for pricing and shipping detail. Feel free to make some offers, guys. Some of these items weren't easy to price out so if you think my prices are off just shoot me a message and/or offer to discuss. Also, feel free to make an offer on the whole set - Would love to keep it together. Ads coming down tomorrow morning. 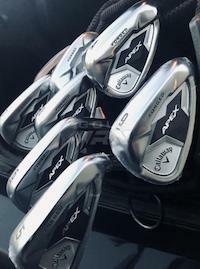 Items are already listed on the bay.. That being said - If you are interested in any items let's hear some offers - Would like to get these items sold to some WRXers. Mods - Please close ad. Thanks.